A best seller of ours. This Gangster Mona Lisa Hoodie another dimension to this famous piece of artwork. Slightly controversial, perhaps. Despite that, this print is dope. 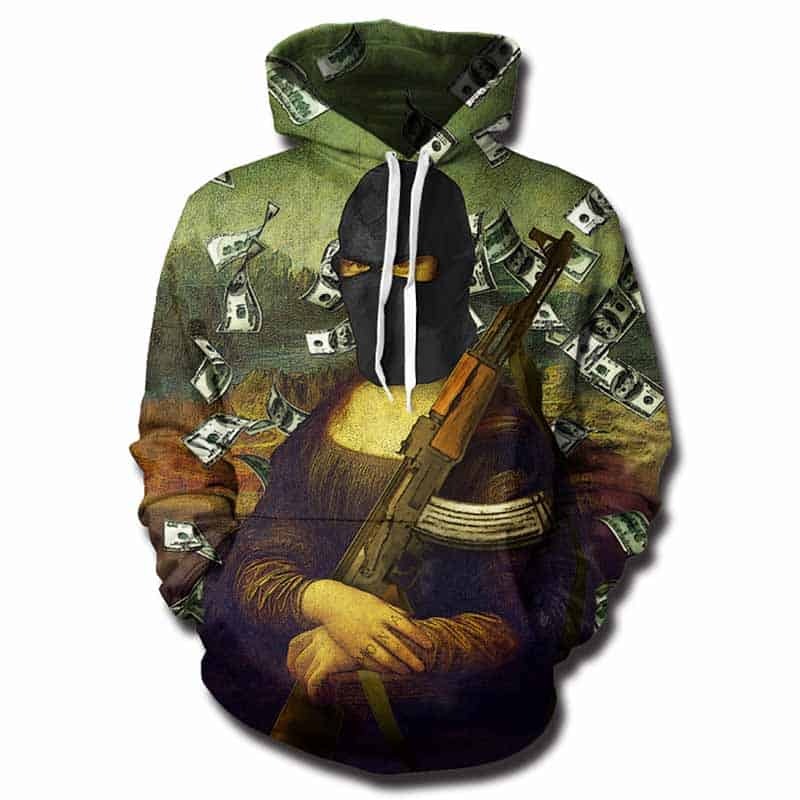 The hoodie features Mona Lisa with a gun, balaclava and money in the background. The hoodie is comfortable to wear, looks fashionable and is wearable anywhere. It was designed for both male and female.